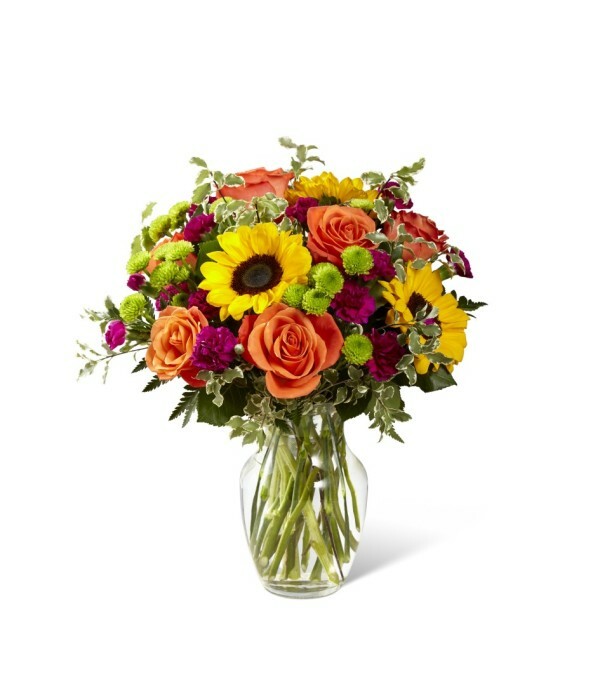 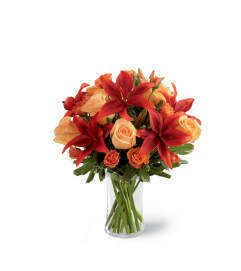 The FTD® Color Craze™ Bouquet blooms with a vibrant energy to create a special moment for your recipient! Our floral professionals weave together a blend of orange roses, sunflowers, violet mini carnations, green button poms, and lush greens to create an incredible gift. 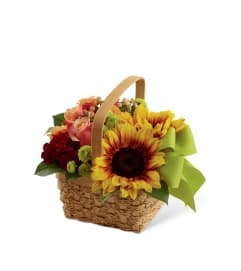 Presented in a clear glass vase, this truly colorful display of fresh flowers is ready to send your warmest birthday, thank you, or get well wishes straight to their door.